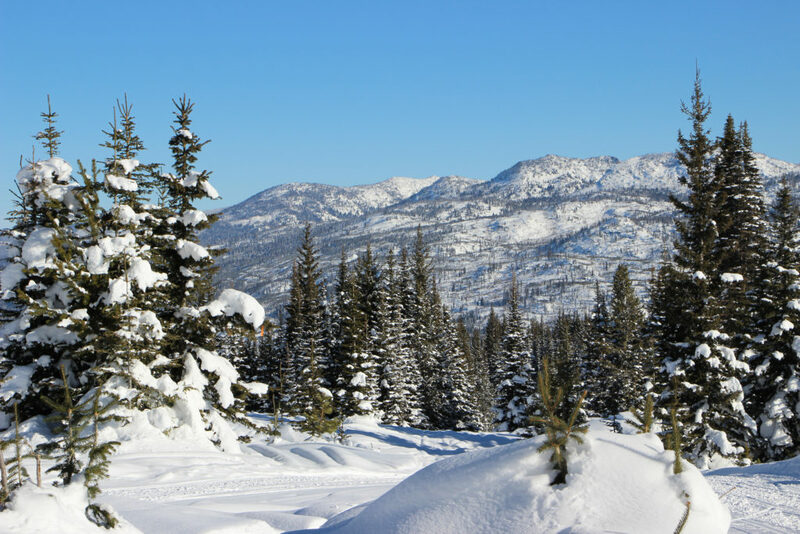 In the vast whiteness of Idaho’s winter backcountry, the rising steam is barely detectable. 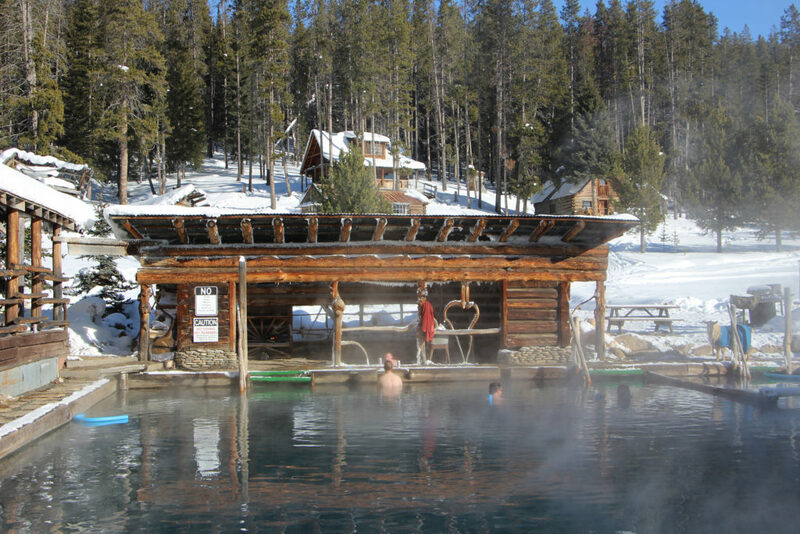 Surrounded by what looks like a ghost town, Burgdorf Hot Springs has survived the boom and bust history of the area to become an unlikely but well-loved year-round destination. Now, for the first time, you can take a guided tour to this iconic winter retreat and enjoy spectacular views all along the way. Burgdorf’s charm lies in its cozy remoteness. 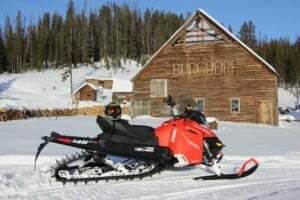 Brundage Snowmobile guides will lead your group deep into the backcountry and high into the mountains through snow-covered meadows and towering vistas. Just when it feels like you’ve zoomed past the middle of nowhere, you’ll discover the comfortable friendliness of Burgdorf. With four pools (one nearly Olympic-sized) and cozy wood-fired log cabins for dressing, resting and even overnight stays, Burgdorf is a true winter oasis. A leisurely soak in the pools is just $8 per person. You can even rent swimsuits and towels on site. 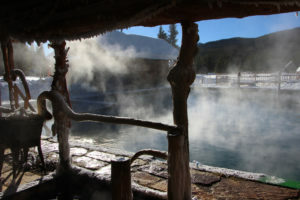 The largest pool maintains 100 degrees year round, fed by natural hot spring water at a rate of 150 gallons per minute. The two smaller hot pools at the inlet average around 113 degrees. There’s even a partitioned shallow pool for the little ones. 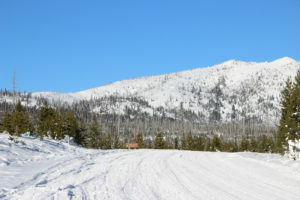 Your full-day snowmobile trip includes lunch and the company of our experienced backcountry guides. And while we can’t guarantee that skies will be THIS BLUE on the day of your trip, we can guarantee that the springs will be hot and that the memories will last a lifetime.